Art critique, how to judge & critique your painting. Questions to ask yourself? 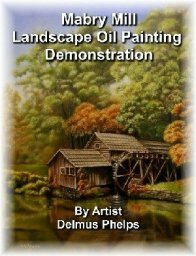 Art Critique, an oil painting guide for your best work! Do you need to critique of your own work? Why do you need to be able to judge for yourself whether your work makes the cut? Wouldn’t you like to know what gallery owners, competition judges, art critics, and some discerning art lovers do when they view your art? An art critique will allow you to be able to take a step back, and look at your painting as if you were one of the above or a customer interested in purchasing your art. But not impossible. Follow this list of things and art critique your own work. 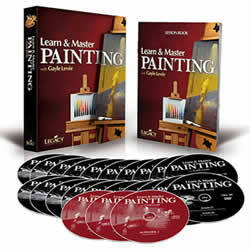 It will help you immensely in your next endeavor at the canvas! And effective center of focus will make the difference in whether your painting is a picture or a work of art. It gives you viewer a sense of direction, flow within the piece. Its sets and establishes the priority in what’s most important in the work. All the other elements are of interest, but take a back seat to the focal point. Have you got one in your painting? Is there a feeling, a sense of mood within the work. Ask yourself, does it convey happiness, joy, sadness, anger, concern, etc. Or is it just a picture of a grape? If your piece can conjure up a strong emotion when viewed, it will be way on its way to being a successful piece. This can be tough when planning a work. But ask yourself, what can I do differently, out of the normal way of seeing things, out of the ordinary in showing something better within the piece. I have several pages discussing this on the web site but honestly, there are volumes of works in print and online devoted to this one subject. Why is it important? Get it wrong, and no matter how beautiful you paint that rose, it will not capture some ones else heart. Click here to see how composition in flower painting is explored. It opens in a new window so you don't lose your place here. A variety of sizes within these shapes? Is there a design scheme? Dominant shapes, emphasis within the shapes? Are there geometric forms utilized? Do they complement each other or create tension across the canvas? Does it attract attention to itself, or provide a back bone for the subject? Are there elements, sub elements, and repetition of elements? Is there Diversity within unity? Do you have a complete tonal value range, from lightest lights to darkest dark? Is the piece restricted in tonal range? At the high end, creating a lighter mood? At the darker end creating a darker, sad or sinister mood? Has color been used to convey mood, depth, harmony within the work? Was it used to help center the focal point? Are color fundamental used, complementary, analogous or themes employed? Is it utilized? Is it correct? Is depth shown through correct use of perspective? Is depth shown through correct use of hard and soft edges? Are elements pulled forward by the use of these hard and soft edges? Has Style, Pattern, Color, or Technique been used to establish unity? Are technical skills in the handling of the material well evident? Here's just the first half of this process. Now lets look at the other half, the bad half of what you've got to ask yourself! Click here to go to the 2nd part of the art critique.